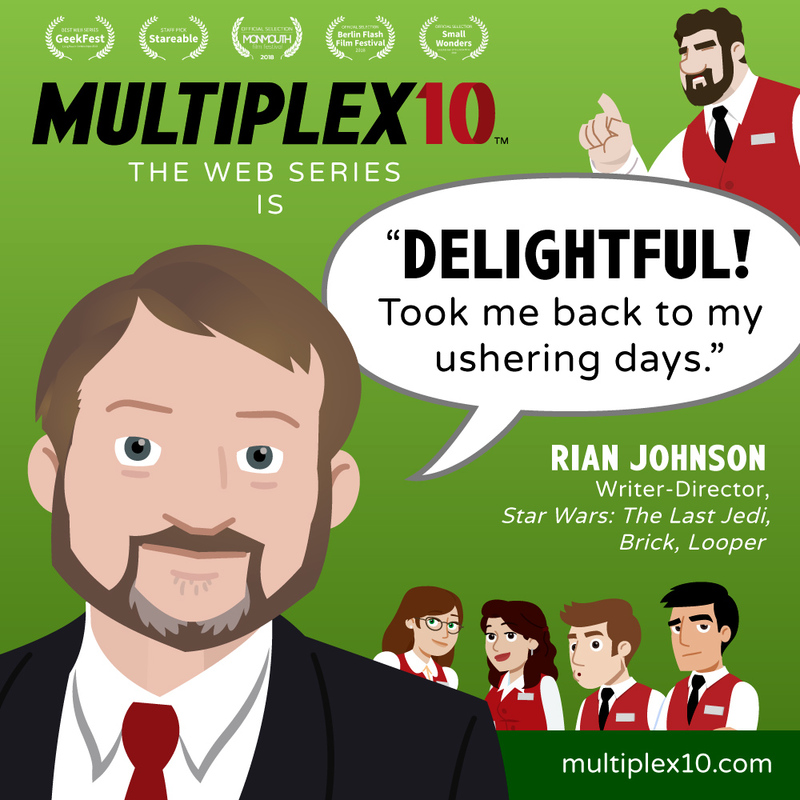 One of my favorite indie filmmakers, one Rian Johnson, had some very kind words about our little web series (which you can read for yourself above). You might have seen one or two of the movies he’s written and directed, like Brick, Looper, or maybe Star Wars: The Last Jedi? In addition to this amazing news, the Multiplex 10 animated short was selected to screen at the upcoming Monmouth Film Festival (it’s in the Web Series category) and “Self-Help” will be screening in this year’s Small Wonders: An Exhibition of Tiny Art & Film, as well. We’re not just enormously proud of the work we’ve been doing, but I really believe we’re poised to Get Big (relatively speaking) if we can just keep up the momentum. But we can’t do that without your help in funding the series. PLEASE help us keep making more of our “delightful” web series by backing the Multiplex 10: The Web Series Kickstarter today!